There was once a TV show called, ?To Tell the Truth.? It was a game show in which a panel of four celebrities was given the name and unusual occupation of one of three contestants. The panel had to ask the contestants questions in an attempt to determine which contestant performed the unusual occupation. At the end of the show the host would ask, ?Will the real [contestant name] please stand up? 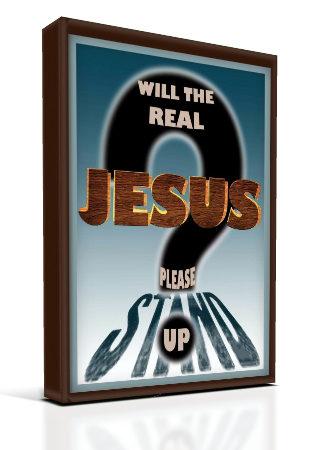 Considering all the different views of Jesus presented in books, magazines and movies today, people today might feel like asking, ?Will the real Jesus please stand up? ?